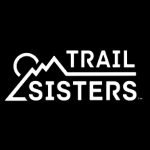 Please welcome the sixteenth American Trail Running Association (ATRA) Trail Ambassador presented by CamelBak, and fourth in 2018. Meet 46-year-old Connecticut resident Michael Lo Presti, whose love of trail running led him to found CT Trailmixers. He’s a married father of two daughters, a volunteer running guide with Achilles International, and hopes to run an ultra in every state. At the start of the CT Trailmixers’ Fall Fling 400, November 2017. Lo Presti hails from Huntington, Long Island, New York, and has lived in Plantsville, CT, for the past 21 years. In his professional life, he is a communications director for Cigna, a post he’s held for 17 years. He started trail running about 15 years ago. “I had run eight or nine road marathons, and started searching around for bigger challenges,” said Lo Presti. “I stumbled upon the world of ultramarathons, and ran my first one – a 50k road ultra – in Rhode Island. I was hooked and ready to run another. Michael (left) with the CT Trailmixers at the recent To Hale and Back six-hour trail ultra, produced by ATRA member Trail Animals Running Club (TARC) in MA. 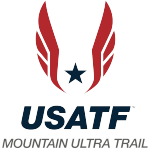 Some of those upcoming races include the Zion 100K, the Vermont 100K and Manitou’s Revenge in New York. Lo Presti founded CT Trailmixers, in November 2014, with a few friends. “Our goal was simple,” said Lo Presti. 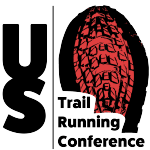 “Form a Facebook group to better organize our weekend trail runs, as we were all spending more time on the trails and it’s cumbersome coordinating events just via texting. From there, things blossomed quickly, as our Facebook group participation surged. Michael (front row, second from left) and the CT Trailmixers at the start of the 55k Laugavegur trail ultramarathon in Iceland, July 2017. “As we grew, we decided to brand ourselves with a few key attributes and activities,” continued Lo Presti. “Weekly group runs around the state, periodic Introduction to Trail Running events, book talks, dinner and movie nights, two annual races (the Spring Fling 600 ultra in May and the Fall Fling 400 ultra in November), an annual Green Friday trail run held on Black Friday after Thanksgiving (because being in the woods is much more fun than waiting in line at the mall), and lots of tasty food and baked goods after our group runs. We also spend a lot of time on the Appalachian Trail, as 52 miles of it run through our state. We do an annual run of the entire section in a day, run smaller sections throughout the year, and organize trail magic volunteer events during the summer to help the thru-hikers and section hikers. Michael (left) and two CT Trailmixer friends running one of our favorite Connecticut trails, the Mattabesett Trail. The club has been able to donate proceeds from their races to several local charities, including the Connecticut Forest & Parks Association (CFPA) which maintains the 800+ miles of blue-blazed trails in the state where they so often run. They have built a strong partnership with the Southington (CT) YMCA, as their two races are held on the trails at YMCA Camp Sloper. Additionally, the club has started a Shoe Scholarship Program in partnership with Fleet Feet in West Hartford (CT), through which they help pay for running shoes for students who otherwise might not be able to afford them for cross country or track. Sunrise from the trails of Ragged Mountain in Berlin, CT. He prescribes to the motto…live urgently. “Trail running has sharpened my vision around this motto, and has taught me how to savor every step of every run no matter what the conditions or how hard it hurts…because someday it will end, and I will miss it,” said Lo Presti.